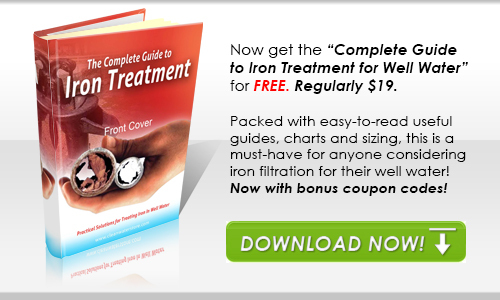 Clean Well Water Report: How Can I Tell How Much Filter Media I Need To Rebuild My Filter Tank? How Can I Tell How Much Filter Media I Need To Rebuild My Filter Tank? written on the tank at the bottom; it goes diameter by height. tank itself, without the backwash control on top). 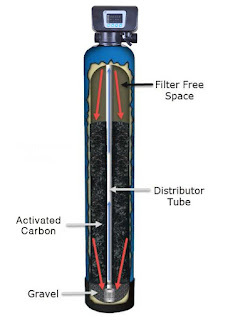 In a typical backwashing carbon filter system, the filter tank is filled 2/3rds of the way from the bottom with filter media. The free space at the top gives some room for the filter media to expand during backwash. The water flows in through the top of the tank and down through the carbon filter media. During the backwash, the water flows down through the distributor tube and reverse flows up through the carbon filter media and out to drain. 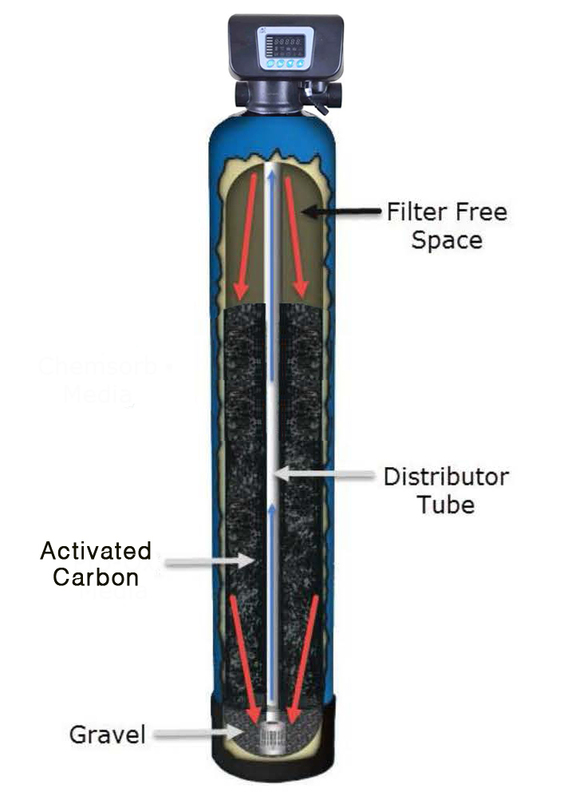 The carbon is cleaned and rinsed and the carbon bed is "re-classified" meaning the particles are re-distributed. 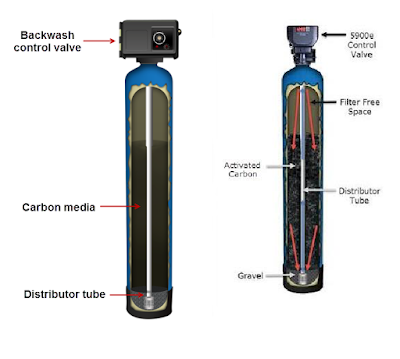 This helps the filter media last a little longer and can help prevent odors from developing in the carbon, as fresh chlorinated water from the city cleans the carbon. The backwashing won't remove chlorine or other chemicals that have adsorbed into the carbon pores, but it does wash out accumulated sediment. How much filter gravel to add? 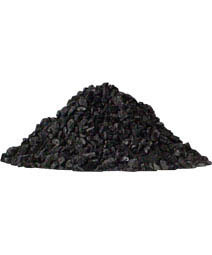 What Type of Activated Carbon To Use? water we recommend coconut shell carbon. by-products such as chloroform and other trihalomethanes (THMs).